We may look back on 2015 as the year enterprises decided cloud computing is nothing to fear. Many conservative large organizations have been more hesitant than newer small businesses to migrate their applications and business processes to the cloud, citing a range of concerns such as a perceived lack of security and poor performance. But statistics show that is no longer the case. One of the beneficiaries of this change in attitude has been Microsoft (News - Alert) and its Office 365 platform. Even public sector organizations who are often technology laggards are adopting O365. If your organization is preparing to migrate from the traditional version of Microsoft’s productivity suite to Office 365, you must first understand the constraints of your end-to-end architecture, implement technology that can help you to optimize those constraints, and create a 24/7 real-time performance monitoring process to help you identify problems early, if not prevent them from occurring at all. Analyst firm International Data Corporation says cloud computing has changed the fundamental nature of computing and how business gets done, and it will continue to do so through 2020. In fact, IDC predicts that by 2020, we will stop referring to clouds as "public" and "private" and ultimately, we’ll just stop calling them clouds altogether. We will understand that it is simply the new way to provision IT and do business. I don’t know if anyone will be bold enough to predict that we’ll all stop making the differentiation between the traditional Microsoft Office software suite and Office 365. According to Microsoft, Office 365 Home and Personal have a combined 9.2 million subscribers, a small fraction of the more than 1.2 billion people who use Office. 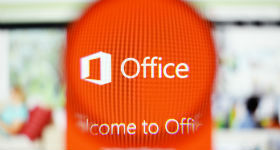 But there’s no doubt that Office 365 is gaining momentum in the enterprise. Data security software developer BitGlass recently released its second annual Cloud Adoption Report which states that Office 365 adoption this year has grown more than 300 percent to 25.2 percent of enterprises, compared to just 7.7 percent in 2014. Migrating to Office 365 presents a number of benefits to both users and IT organizations. Users can more easily collaborate from their computers and mobile devices, improving their productivity levels. IT no longer has to install, maintain and upgrade an Exchange server in the data center or oversee the individual installations on users’ computers. However, you do have to prepare for a new set of issues inherent to moving Office from the data center and local hardware to the cloud. Simple everyday tasks like uploading and downloading individual files, or emailing a larger file to multiple people can put a heavy load on the infrastructure. Moreover, the degree of business criticality greatly increases as O365 and SharePoint are integrated into business processes, backend application architectures and dependencies between datacenter and cloud architectures grow. Consider this scenario: if one person sends a 10 MB file to an email distribution list of 100 people, that can consume a lot of bandwidth, and most of it will be due to transmitting redundant information to 99 people – all the way from remote sites, out your Internet Access Point (News - Alert) to your O365 instance and back. Users’ complaints about slow download and upload speeds, sluggish overall system performance, and time sensitive applications like Voice or Video over IP being impacted can quickly add up. Conduct a thorough examination of your network’s capacity, bottlenecks, latencies and other potential limitations. Pay special attention to Internet access points, last mile constraints and OCONUS sites that may be far away from the cloud. For example, if you have sites in mainland China which pass through the ‘Great Firewall of China’ how will your SaaS (News - Alert) applications perform? Network and application performance monitoring technologies can provide the analytics from end users over the network to the servers and applications you need to identify any performance constraints. Intelligent modeling and prediction of the expected O365 traffic, or even the migration load itself, can provide extremely useful insights which facilitate proactive planning – instead of reactive fire drills. Once you know these limitations, you can focus your investments on technologies that enable you to overcome the constraints of distance, latency, loss and disconnections, which are often the largest performance constraints in today's cloud-centric global architectures. Several common techniques include WAN optimization, peering your private network with a carrier neutral facility to bring the cloud closer (like Microsoft Express Route), or use Direct-to-Internet connections at branch sites with path selection techniques to steer your cloud apps down the best performing path. Implement application-aware quality of service to ensure O365, and other business applications, perform well even when paths are congested. Implement performance analytics that provide a holistic view of application performance across your end-to-end architecture in real-time to help you easily identify and remediate issues. Finally, integrate this into a continuous improvement process where these insights are used to increase business velocity, proactively eliminate issues and reduce mean time to repair (MTTR). Increased business velocity is often enabled by technology innovations. Migrating your users to a service like Office 365, and ensuring your end-to-end architecture is up to the task, places your IT organization in a position to lead business innovation, not just manage IT as a cost center.